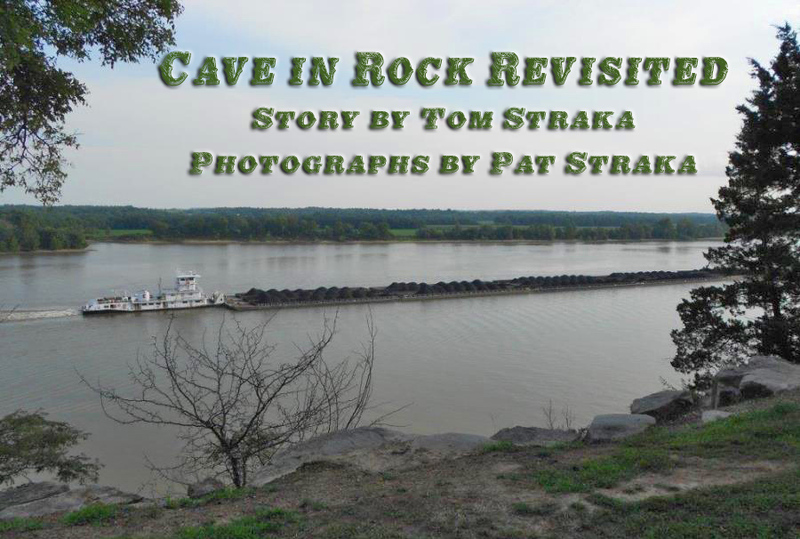 Back in the Fall 2014 we visited Cave-in-Rock, Illinois, (click on link for that story) on the edge of the Ohio River where a free ferry crosses over to Kentucky. It is a favorite route of ours and an especially fun alternative that avoids the interstate, facilitating a cross-state route (the long way) on mainly U.S. highways. We’ve covered the history and geology of the location in the past issue, but missed a key aspect that makes the stop even more attractive. So attractive, we’ve revisited it. The history was in the past issue, but we’ll summarize it. The first European explorer to document Cave-in-Rock was M. de Lery of France who called it caverne dans le Roc. That was in 1729. After the Revolutionary War it became a lair for outlaws and river pirates who preyed on pioneers traveling the Ohio River. One converted it into a tavern that was called Cave-in-Rock. It served a trap where unwary travelers were disabled and robbed (or worse) as they approached. A scene from How the West Was Won (the river pirate scene) and Walt Disney’s Davy Crockett and the River Pirates were filmed there. Cave-In-Rock is a short hike from the lodge. 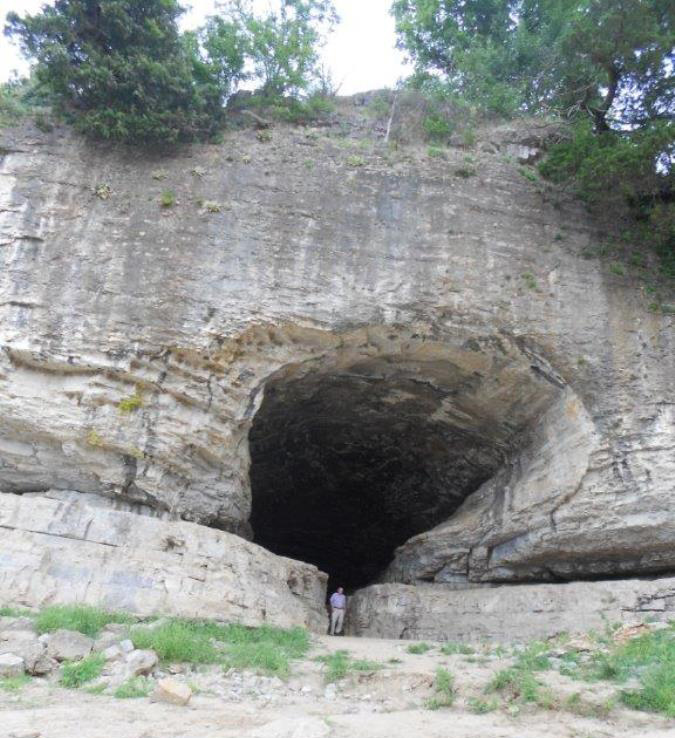 The part we missed earlier was the obvious fact that Cave-in-Rock is in a state park that has lodging and a restaurant. 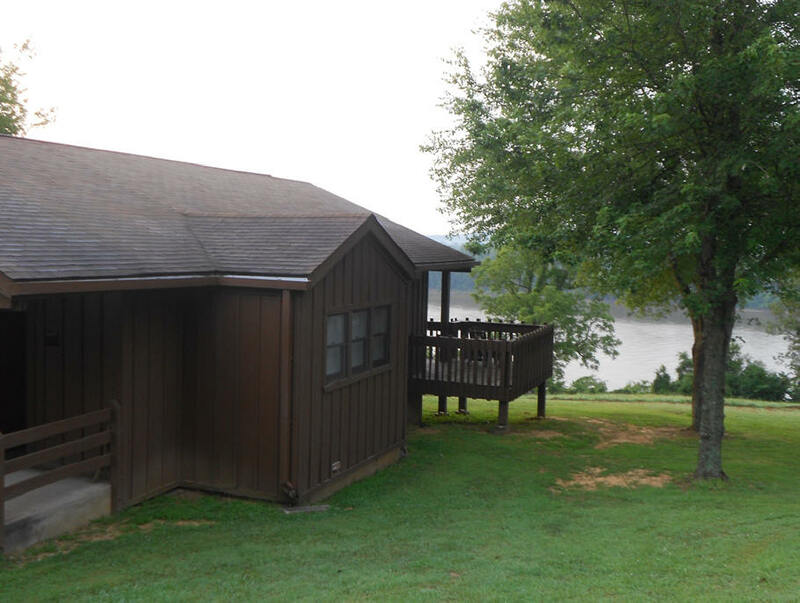 The lodging includes four duplex cabins, each with a private balcony that overlooks the river from the bluff. A short walking distance is an excellent state park restaurant and about a mile away is another restaurant in the village of Cave-in-Rock. The lodge rooms are large, suite-size, with a small kitchen, dining area, and sofa area. The price is comparable to a nice interstate motel. However, this is far from an interstate intersection motel. A view of a duplex cabin, showing part of the deck facing the Ohio River. Each cabin room has its own balcony facing the river from the bluff. Notice the corner of the deck railing in the photograph. The cave is an easy walk from the lodges. There is a great hiking trail system across the park. Some trails go along the river. 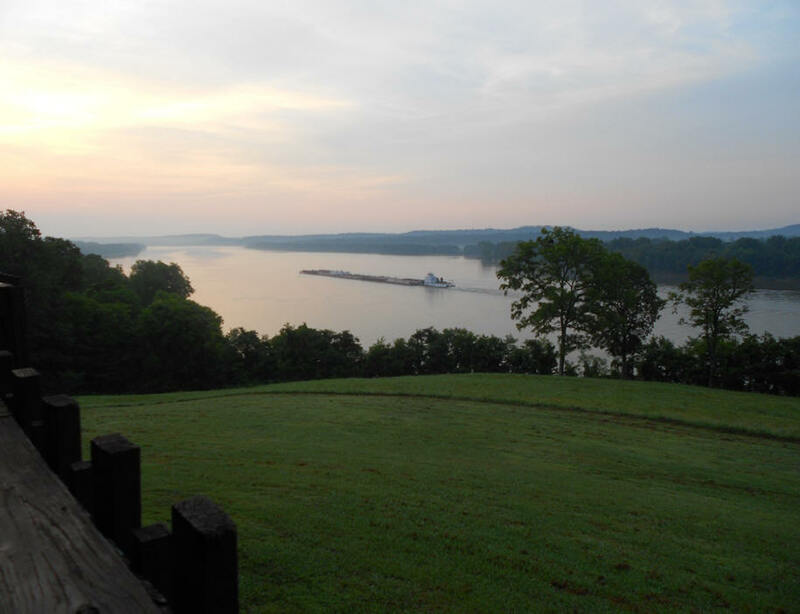 Other state park amenities, like fishing, boating, and camping are available. 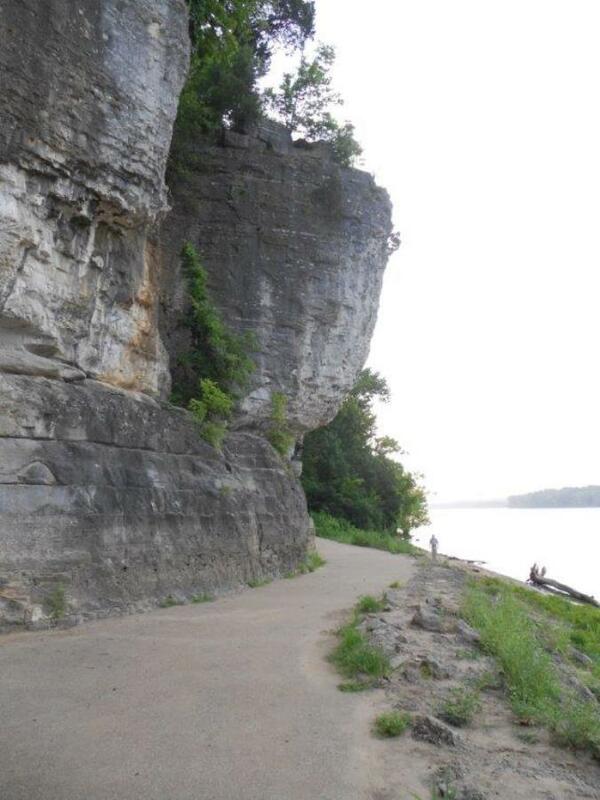 Many of the trails go above or below the bluffs. We’ve stopped at plenty of other state park resorts. What makes this one worthy of an addendum? Each balcony allows for quiet views of the river, with wonderful views of the river traffic. The vistas will pull you away from the big screen television (with Dish Network) and WiFi connection. 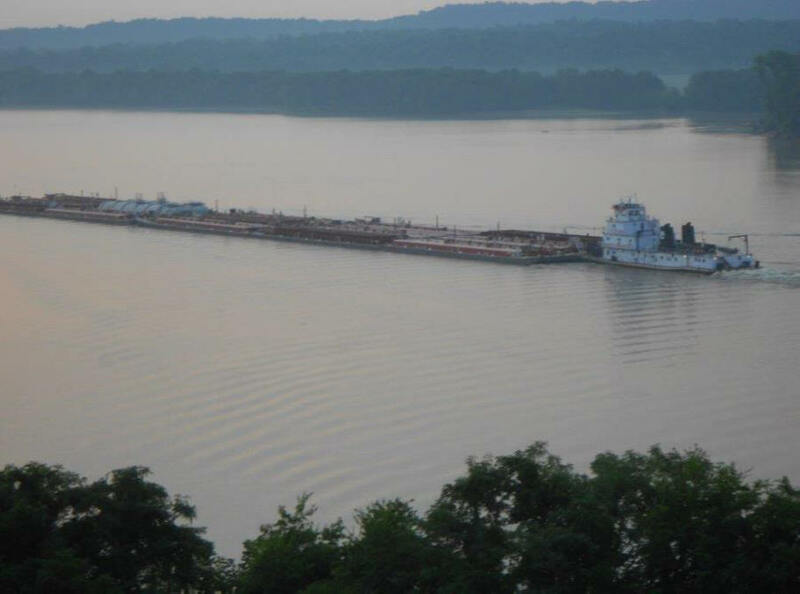 The views are what you’d expect on the Ohio River, towboats pushing barges. There is something to be said about a ferry across the river; if you have a little time, it sure beats a bridge. It is a very unusual place to spend the night and a very comfortable one. 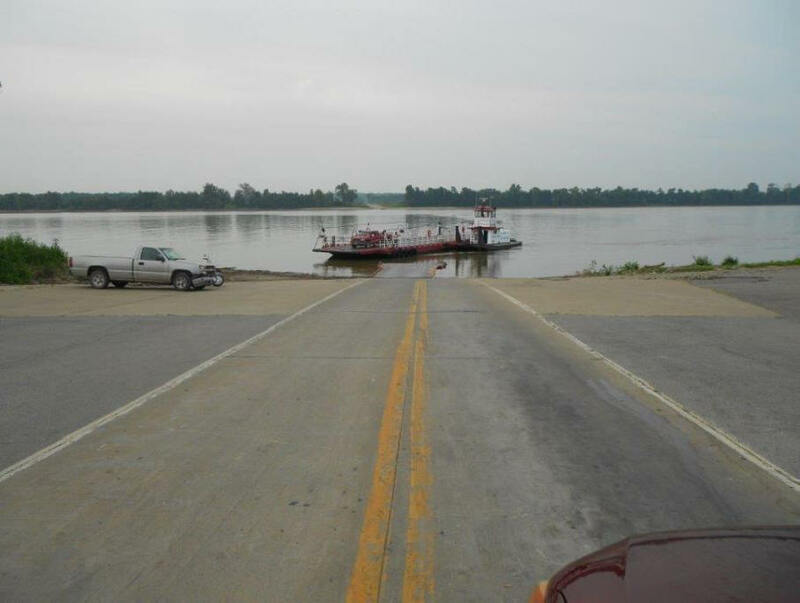 If you cross the river into Kentucky, it is easy to connect to the south with the state’s excellent east-west parkways. To the north are roads that run almost straight across the cornfields up to the interstate. This resort is a hidden gem. Authors: Thomas J. Straka is a forestry professor at Clemson University in South Carolina. His wife, Patricia, is a consulting forester. Both have a keen interest in history.